By Bob Black. Bob was formerly editor of Toy Soldier & Model Figure magazine. The following piece was written for the Regiment magazine which folded before the article saw the light of day. I am not sure whether Bob wrote the article himself or it was a piece from another author. It is an extract from a longer contribution on the Royal Scots. Although some new research has come to light which may contradict the piece on a detail or two the general thrust is excellent and a welcome reflection on an extremely distinguished regiment hugely prominent in our period. The story of the Royal Scots is emblazoned on their Colours, from that first Battle Honour Defence of Tangier 1662-80 to the Gothic Line and Kohima during the Second World War. But the story carried on the Colours is not only of the Regiment but also of the British Army itself. From the War of the Leauge of Ausburg through the Spanish Succession and the wars fought under Corporal John, to the SevenYears War and Napoleon. From the Maratha and Pindari Wars through Burma to the Crimean – China South and the Great War, all are here on the Colours of the Royal Scots. But it began on the Continent. The Scots have always been a warlike people and their services as soldiers have long been sought. The 9th century King Charles of France was said to have a bodyguard of Scots, and the Scots fought in the Eighth Crusade. But the “auld alliance” of 1295 saw more Scots taking service with French. 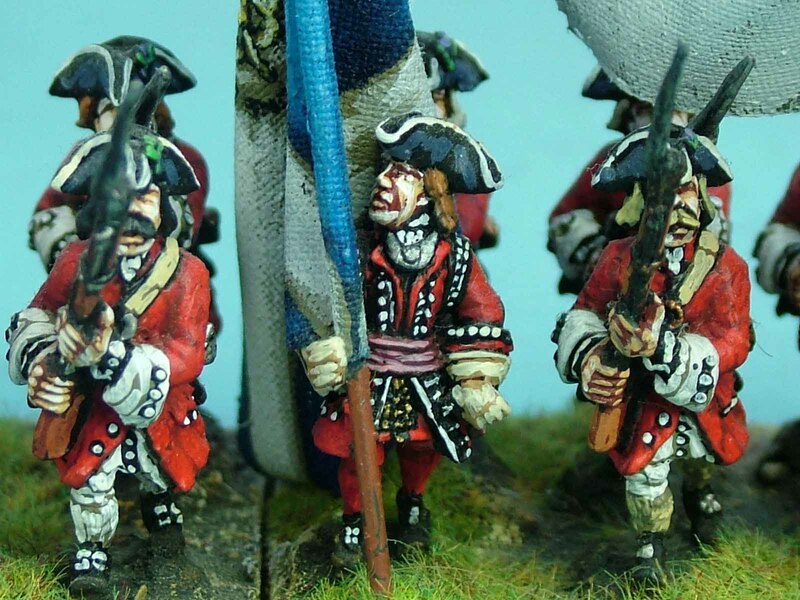 At the end of the Hundred Years Wars the Scots formed the Archer Guard, the bodyguard of the King of France. The Royal Scots take their seniority from a Warrant of 1633 but its history starts before that, in the Scots regiments that fought during the Thirty Years War. 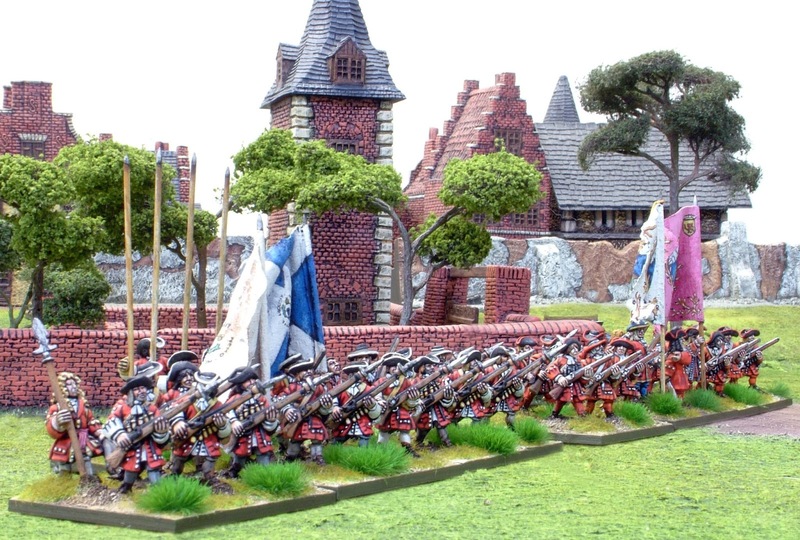 The Thirty Years War started in Bohemia and here a Scottish regiment was raised by Sir Andrew Gray to fight for the Elector Palatine Frederick V. Defeated at the Battle of the White Mountain the regiment retired to Holland where it fought against the Spanish. In 1623 Sir Andrew handed over command to another Scot who had commanded a company in Bohemia. Sir John Hepburn from Athelstaneford in East Lothian took the regiment into service with Gustavus Adolphus. For the next seven years the regiment fought with Adolphus. When Sweden entered the Thirty Years War Hepburn's regiment, Mackay’s Regiment, Lumsden’s musketeers and Stargate’s regiment –all Scots- joined together to form the Green Brigade. Hepburn commanded this Scottish Brigade. This unit became famous throughout Europe. Hepburn led from the front taking his place in the battle. When his regiment stormed the Guben gate of Frankfort-on-the-Oder it was Hepburn himself, with Lumsden of Invergellie, who placed the petards (bombs) against the gateway. In the same year a Royal Warrant was issued by the Scottish Privy Council authorising Sir John to raise a regiment for service with the French. In 1661 the restored English king Charles II asked Louis XIV to return the regiment temporarily and the regiment, now known as Régiment de Douglas, came back to England. However Parliament was worried about the inclusion of the regiment in the army and the following year the regiment returned to France. This is the first time there is a record of the regiment wearing red coats. They were lined white, and the coat was worn over a white shirt. The breeches were white or light grey. It was 1673 that the regiment took its place on the permanent English establishment and by virtual of its Royal Warrant of 1633 claimed seniority. During its service in France it billeted one night with the Régiment Picardy, the senior French Regiment. Picardy claimed they were so old they were on duty the night of the Crucifixion. A Scots Officer replied that had his regiment been on duty that night they would not have fallen asleep and allowed Christ’s body to be taken from the tomb. From then to this day - over three and a half centuries - they have been known as Pontius Pilate’s Bodyguard. The regiment had changed names when Sir John Hepburn was killed at the siege of Saverne and the Colonelcy passed to Lord James Douglas. Another Douglas, Lord George the Earl of Dumbarton commanded in 1675 when as Dumbarton’s ’ Regiment , the Scots returned from French service for the final time. The “Scotch march” became Dumbarton’s Drums, the favourite quick-step of the regiment. In 1680 the regiment went to Tangier on the North African coast. Tangier had come to Charles II as part of Catherine of Braganza’s dowry. But it was a liability and a drain on the Royal purse, with over two million pounds being spent on defences in the 1660s. The Moors proved a difficult and dangerous foe and Dumbarton’s Regiment joined the garrison of Tangiers in some desperate fighting. In September a major sortie was made to drive of the 15,000 Moors besieging Tangiers. Writing in the following year(1681) John Ross said “The Scots charged first, if there was any time at all between the charging: for like fire and lightning, they all went on at once”. The Moors could not stand against the pikes and muskets of the Royal Scots and the other British regiments and fell back. The Scots took the Standard of Muley Ismael, the Emperor of Morocco and Africa, whilst the Guards and the Marines took four other Standards and cannon. For political reasons Tangiers was given up in 1683 but it became the first Battle Honour for the British Army, still carried on the Royal Scots Colours. 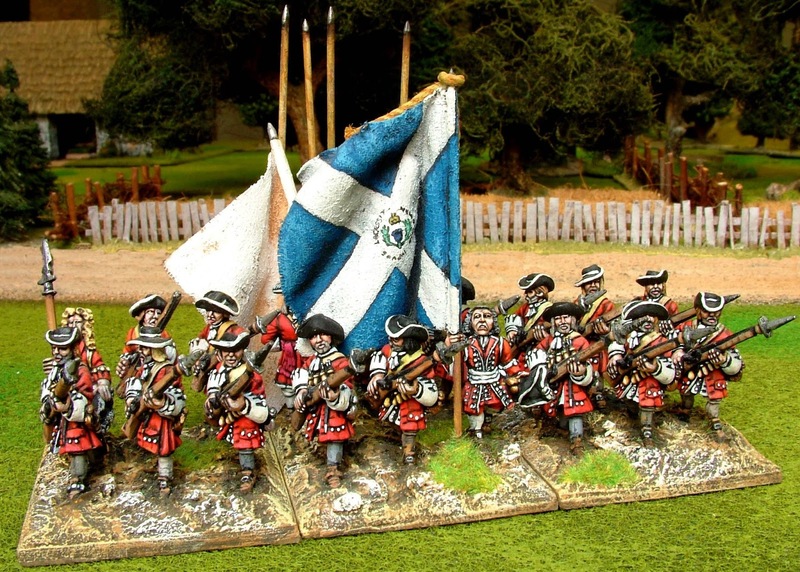 In 1684 they became the Royal Regiment of Foot renamed the Royal Scots (1st Foot). In 1685 they fought a different foe. Charles II had died, leaving his brother James II to become King. Charles illegitimate son the Duke of Monmouth declared himself the rightful heir and raised his own Standard in the West Country. This King’s son had led a British army against the Dutch, fought with the Royal Scots and John Churchill who was to gain greater fame as the Duke of Marlborough. Now he found himself leading a rebel army against the Royals and the other units of James’ small army. The senior regiment takes the place of honour on the battlefield, the right of the line, and the Royal Scots took their rightful place at the Battle of Sedgemoor. 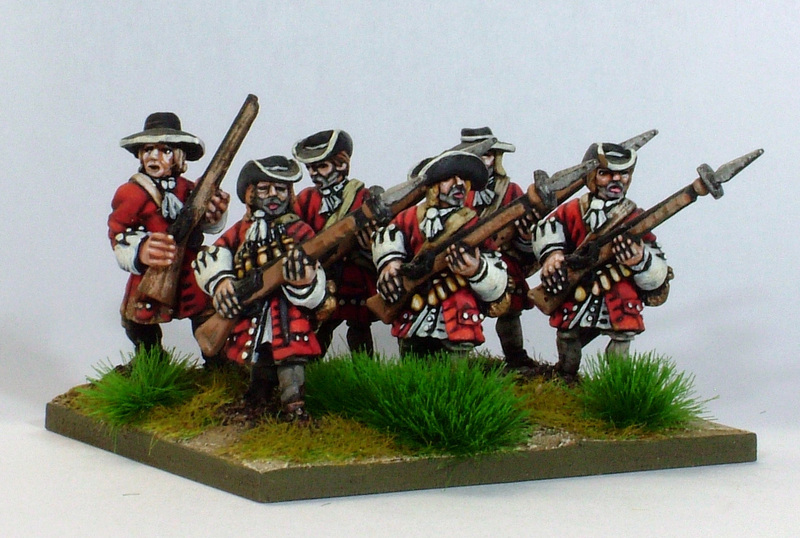 The King’s Foot Guard (now the Grenadier Guards) and the Coldstream Guards both yielded precedence to them. The Battle of Sedgemoor fought on July 16 1685 (old Style July 6 ) ended the Dukes hopes for his father’s crown. His untrained supporters, mainly peasants from the local area many with only the tools of their trade for weapons, were cut to pieces by the King’s army. But although his nephew was dead James’ throne was far from secure. He was a devout Catholic and unpopular with the British people. In 1688 the British people asked the Protestant Prince William of Orange to replace James II as their King. The bulk of the army went over to William, but Dumbarton remained loyal to James. He wished to attack William even if it meant doing so alone. But James chose flight and Dumbarton followed his King into exile. The great European soldier Schomberg was given Colonelcy of the regiment, but the Royals remained loyal to their King. They marched northwards to Scotland but were overtaken and surrounded by cavalry. King William is said to have been touched by “the firm loyalty and attachment evinced by the Royal Regiment to their former Sovereign when he was forsaken by almost every other person”. A few ringleaders suffered mild punishments. The more important result from this incident was the passing of the Mutiny Act, the forerunner of the Army Act. The regiment was represented at the Battle of the Boyne (1690) by its Colonel, the Duke of Schomberg. James had fled to Ireland and formed a army there; William had led his own army to meet and defeat James. James’ forces were in a good defensive position at the Boyne River, and William sent his army forward to force a crossing, and then destroy the Irish. Hard pushed by Irish soldiers at the Boyne Schomberg rallied William’s army. As a senior office he had not expected to fight and was not wearing armour. He was killed even as he checked the Irish advance. The regiment once again passed to a Douglas, this time Sir Robert. William took the British army back to the continent to fight against the French. 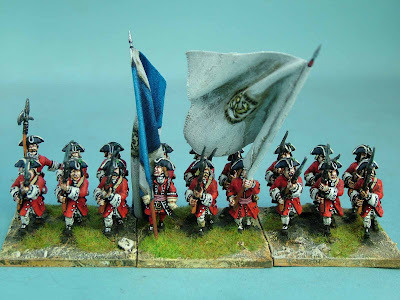 At the Battle of Steinkirk (Steenkerke) in 1692 the French not only defeated the English Army but a party of them captured one of the Colours of the Regiment, but only after some fierce fighting. The Royals had driven four French battalions successively from behind a series of hedges. 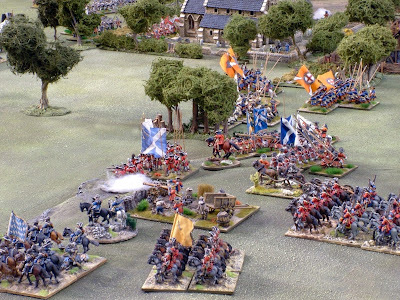 In a counter attack the French captured one of the Scots Colours. Sir Robert Douglas saw the party taking their prize to the rear and dashed through a hedge and singlehandedly attacked the French. He cut down the French officer with his sword, recapturing the Colour, but on his way back to his regiment he was shot down. With the last of strength he threw the Colour back over the hedge to his men and fell back dead. The last important engagement of the war for the Scots was the siege of Namur. As Orkney’s Regiment – named for their new commander the first Earl of Orkney - they took a short rest at the end of the century; perhaps to get themselves ready for the War of the Spanish Succession starting in the following year. This is also the first time the regiment’s uniform is recorded. They wore red coats lined white. They wore a collarless white shirt with a white stock or scarf, and white or light grey breeches. They wore the broad brimmed hat of the period – made originally of beaver skins but copied for the other ranks in cheaper felt. In 1684 they became the Royal Regiment of Foot which entitled them to wear blue facings, as other Royal regiments. For some reason they do not appear to have changed facings until the time of Queen Anne. The Duke of Monmouth had fought with the Royal Scots. 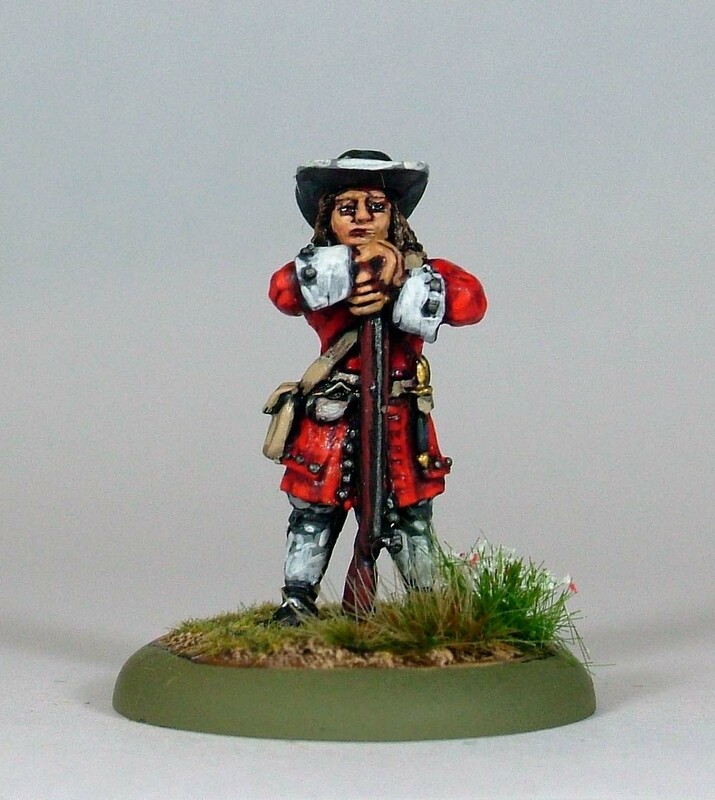 When he studied the terrain from the tower of Bridgewater Church he recognised the regiment. He said “I know these men will fight. If I had them, I would not doubt of success”. He was quite right – they fought and Monmouth, a King’s son and former hero, was executed as a traitor.